Autumn is slowly peaking through, after a really hot day in the beginning of October. 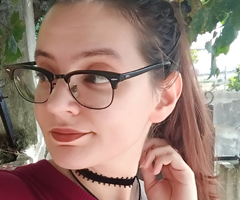 Nonetheless, I have been already preparing my hair and body for the change of season, picking up products that will help me once the cold arrives so that I don't find myself in the middle of as unpleasant surprise. This because last year for example I got a really nasty allergic reaction to the cold weather and got my eyes super dry and sore. Not to mention that this year my hair need more care than the usual. I have a confession to make: I am usually really lazy with my body care, mostly because I either forget to use moisturiser when I really should, or because I let products end and I take way too much time to repurchase them (minus Shower gel, because that lives in my bathroom without a doubt). But this year I started to finally develop a proper routine and I've sticking up with it! And speaking of this range, their The Body Shop Early-Harvest Raspeberry Softening Body Butter is another current favourite! I remember that one of my favourite posts a few years ago was a haul where this was featured. 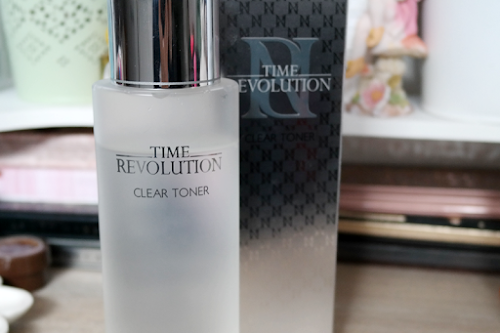 After so many years all I can say is that I still really love this, since it has the perfect cosy and not too sweet scent for the colder weather while properly moisturising my skin. I am heavily considering getting a backup of this ASAP! Oh and this new addition? 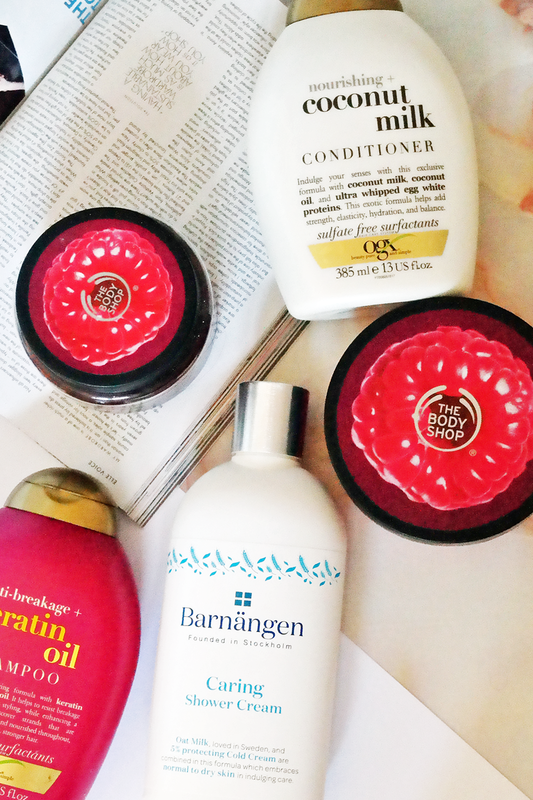 You need to try out Barnagen Caring Shower Cream! It's probably the best shower cream I have EVER used! 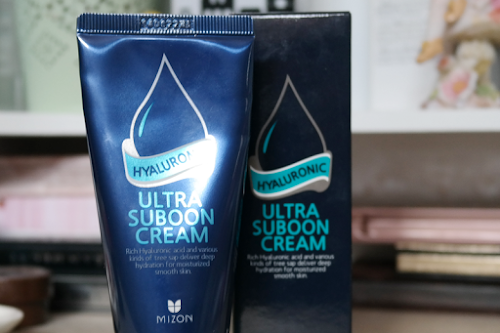 it doesn't have a really strong scent and because it has a percentage of cold cream, it leaves my skin lightly moisturised. I love how fuzz-free this product is and how it reminds me of the Scandinavian culture! I am thinking about trying out other products from their range, which includes two different body moisturisers. Oh yes! Hair isn't neglected either, specially after spending 2017 treating it so badly (when I say badly, I mean painting it pink/red every 3 months!) So when I heard that OGX was finally getting released here I decided to tried it. I first got the Biotin shampoo but for the colder time I'll be diving into the OgX Keratin Oil Shampoo because I really want to give so strength back to the hair! Nonetheless, I am currently on my second bottle of the OxX Coconut Milk Conditioner and I believe it's an affair to continue. This leaves my hair super soft and nurtured, which all it really needs once the cold starts to settle. 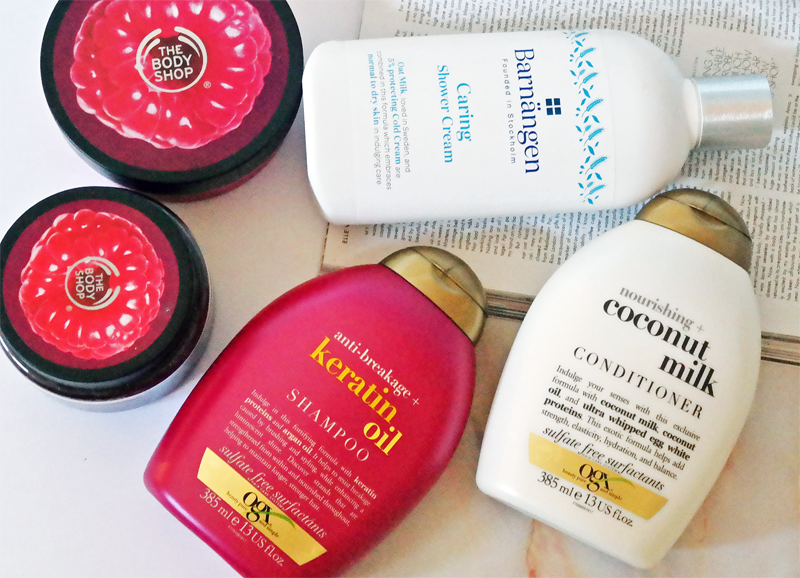 It also started an affair with coconut-related products for my hair! 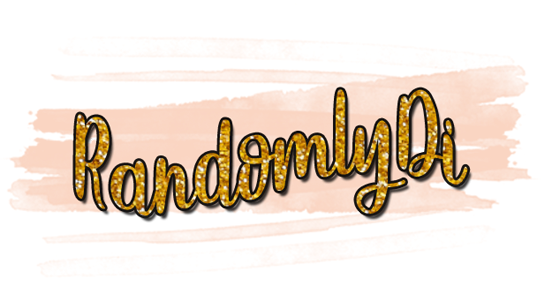 Will you be using any special products for the Autumn/Fall season? That's one great move... already starting to take care of your body/hair for the colder days. Yees! I guess it really helps to survive the season without much fuzz! 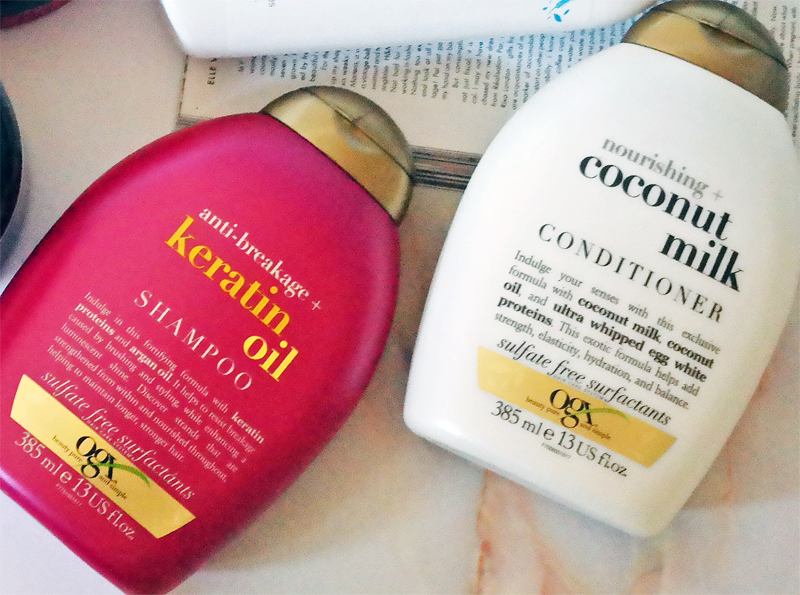 I've just started using the OGX Coconut shampoo and conditioner. I really like it so far and it smells divine! They are so good and the smell is for sure a huge plus!! 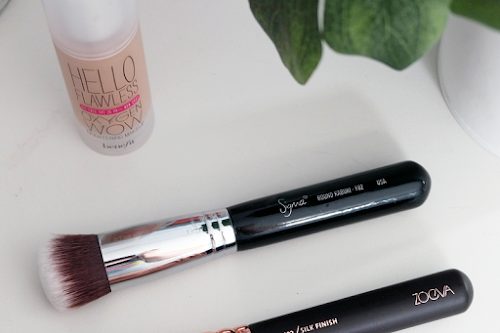 I always love to change up my makeup and skincare for autumn too, and I'm a big fan of the The Body Shop! The products you mention sound gorgeous. I'll definitely look out for those next time. I really need to get another The Body Shop body butter!